As I mentioned in the weekly mailers and on the night, I had literally run out of ideas for themes this month. There are plenty of themes that I could have chosen, though as these nights have turned into a labour of love, I have learned that I must be inspired to bring any kind of magic. Also I had limited time to produce a book so I went with some songs we have done in the past and improved the charts. 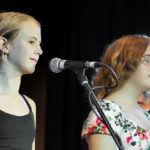 We began with Iz’s version of ‘Somewhere Over The Rainbow’ with my newly acquired strum pattern, followed by a stirring version of Cow’s with Gun’s (where were you Coorabell kids!!!) and then Summer Time Blues before Miss Amber came out and lead with a really tough song to sing from Sia, Electric Bird and nailed it. 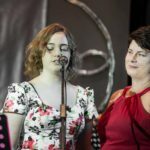 Daughter Rose performed Adele’s ‘Send My Love To Your New Lover’ and then showed off her rapping skills with Iggy Azalea’s ‘Fancy’. That was way fun. We love Britney Spear’s ‘Baby One More Time’. 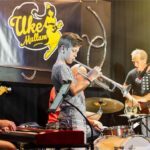 Some of these songs are not great for Uke Players with limited technique I admit. It pays to come on Monday nights to learn some tricks. 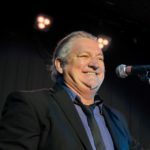 Phil Frea got up and somewhat tumbled through his tunes… he has had it tough and his mind is very active, though posses a rich and striking voice. Route 66 was a highlight. The N.R.U.O were back and in really fine form. 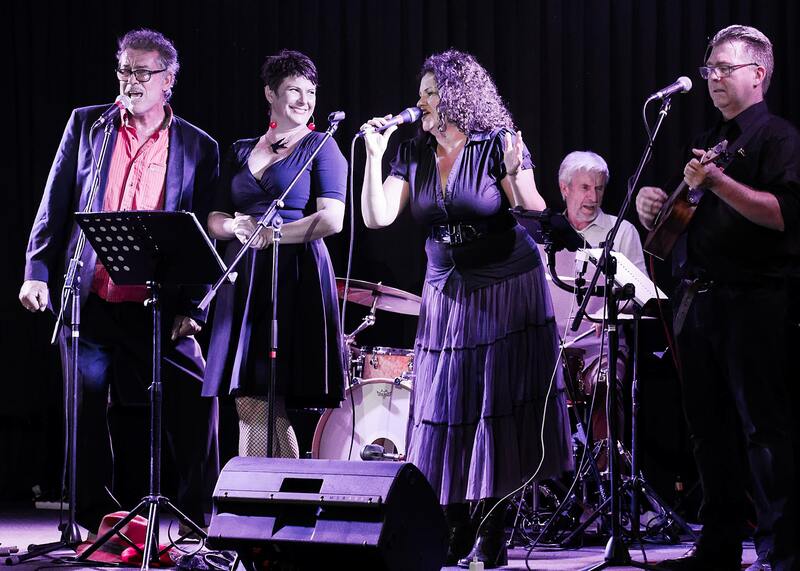 All the tunes went down well, particularly Patsy’s Gypsy Swing. 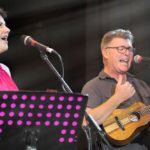 Pete’s Apache is a favourite and fun to strum and the Duo Harmonies of ‘Hey Sherrif’ always ht the mark as we segue-wayed into the stirring ‘Love Will Tear Us Apart’. The Poster also influenced the choice for The Carpenters – Calling Occupants Of Interplanetary Craft. Not an easy tune by any means though it really worked. The band handled the tempo changes with smooth ease. Top work Justin Bannister on Keys, Jason Caspen on Drums and Of course max Foggon on Bass. I played bass for most of Max’s songs. I now appreciate any bass player who can sing as well… It’s not easy at all. 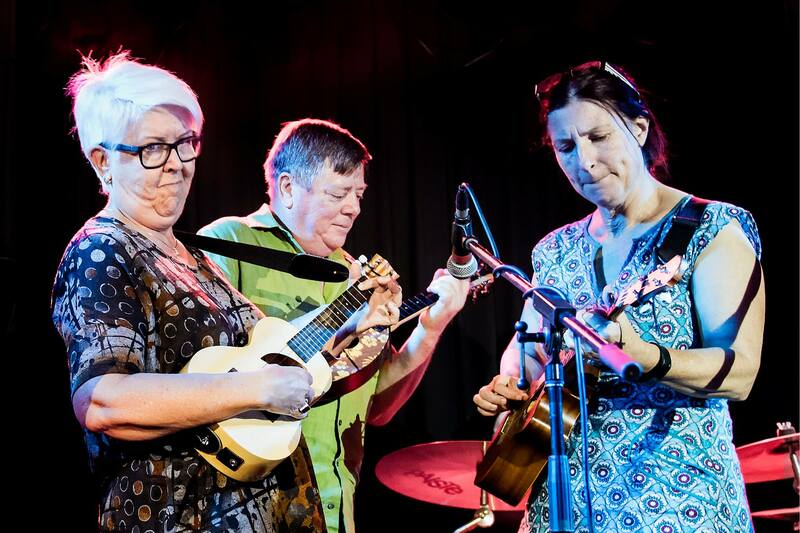 Max Foggon is a quadruple threat… awesome bass player, fantastic uke player, wonderful singer and showman and… he can perform a very tuneful mouth trumpet. Max lead a very entertaining set with a sweet version of Bill Withers ‘Just The Two Of Us’ and a flawless and atmospheric rendition of Daft Punk’s ‘Something About Us’. Disney’s ‘I Wanna Be Like You’ was a blast, taken home by a reggae version of ‘What A Wonderful World’… then after thank yous we all enjoyed ‘With A Little Help From My Friends’ with the whole cast joining in apart from Rosie who had gone home to watch Netflix. The numbers were down, perhaps because it was in the school holidays though everyone who was in attendance had a wonderful time even though there were more challenges in this months book than usual. Next month I will address that and make the book more playable to make up for it. Thanks to Luis on the sound and Deb on the door as well as the club for having us. 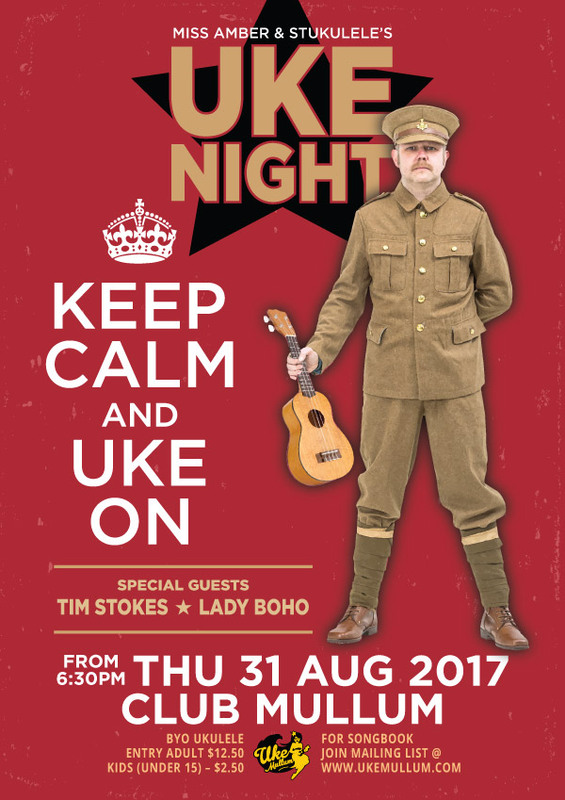 This August 2017 theme ‘Keep Calm and Uke On’ came together at the last minute. 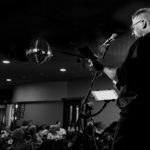 I do admit I’m starting to find it difficult to come up with a fresh theme each month and the thought of all the work that it takes to finish off a book and compile the performers and players is very daunting. Though… for some reason… I keep doing it. I guess I know the the end result is always rewarding as it definitely was in this case. 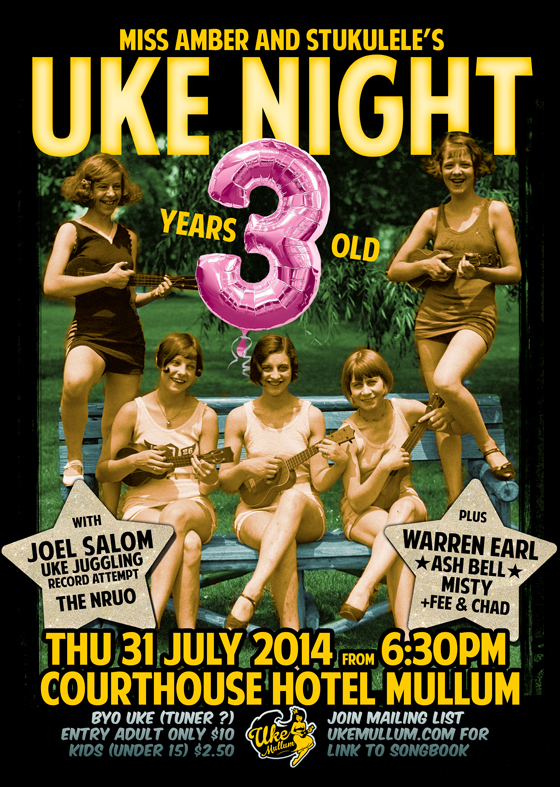 The poster came first and the idea for the theme was planted at Monday Night Mullum Uke Club after seeing the image. Special mention to Val Hodgson who often influences me with her strong opinions. (love you Val). 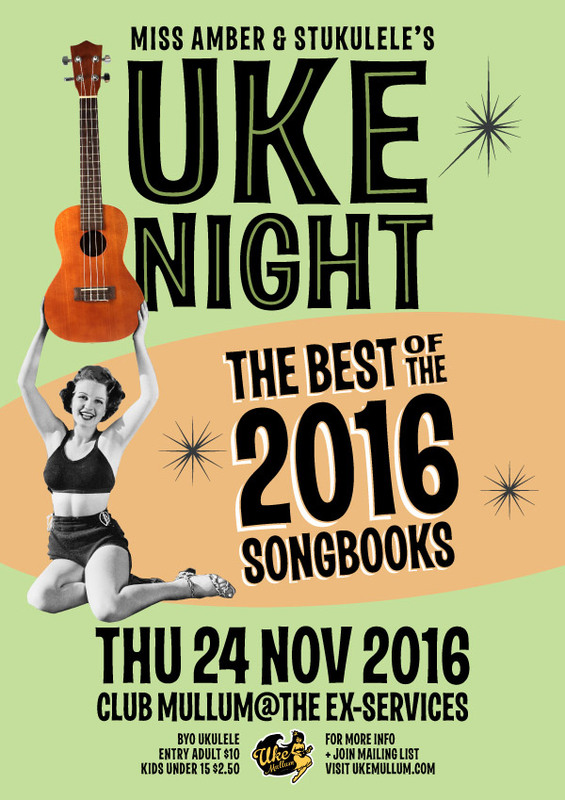 Thankfully, UKE NIGHT hero John Hill filled in on Piano at the last minute as Dan Brown sadly had to pull out due to family illness. 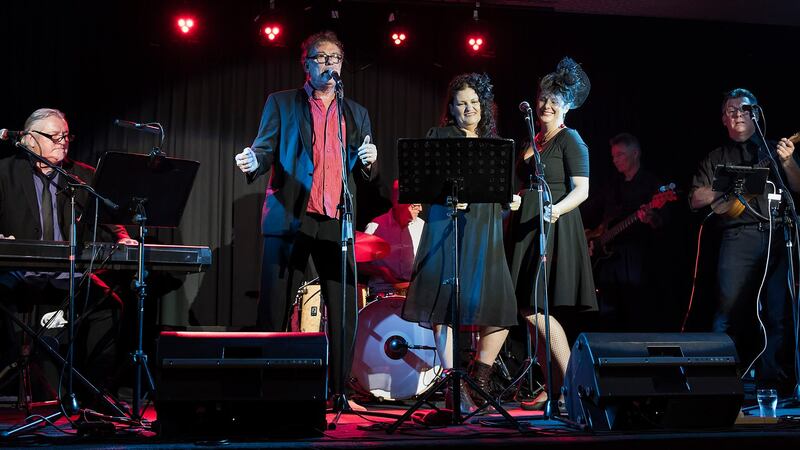 Turns out he was the perfect man for the job, he is a wonderful player and performer and it is always an honour to share the stage with Mr. Hill. 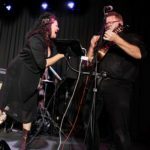 Special guests Tim Stokes and Vasudha Harte (A.K.A. Lady Boho) were wonderful guest performers. 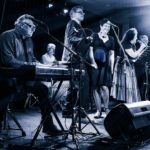 The first set was anti war / protest songs starting out with ‘And The Band Played Waltzing Matilda’ by Eric Bogle… this is one heavy song… It set a maudlin tone. Miss Amber does a great Kate Bush and her version of Army Dreamers was very well received. As the set moved on the songs became gradually lighter and after Lady Boho’s excellent versions ‘I Was Only 19’, ‘Thou Shalt Not Steel’, and a very cool ‘Tryin’ Times’ (excellent Bass by Mr. Rode Coe), we ended the set with the French tune ‘Le Temps De L’amour’ (The Time For Love). Vasuha has a voice like caramel. 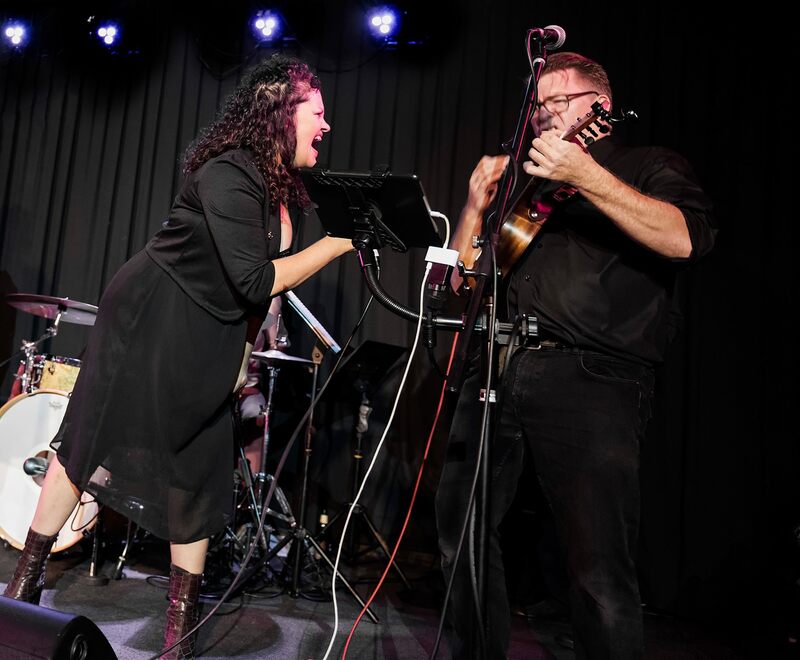 Audience members were excited to have a new face on stage and she has left quite an impression with most folk never having seen her perform although she is a multi talented musician and teacher and a stalwart of the local Byron Shire music scene. Enter Tim Stokes for some songs of love and uniting. He is the man for these kind of songs… ego-less, full of love with a smile that melts your heart. His original tune ‘Blessed Are’ went over very cheerily and his version of ‘What a Wonderful World’ left the whole room all gooey. 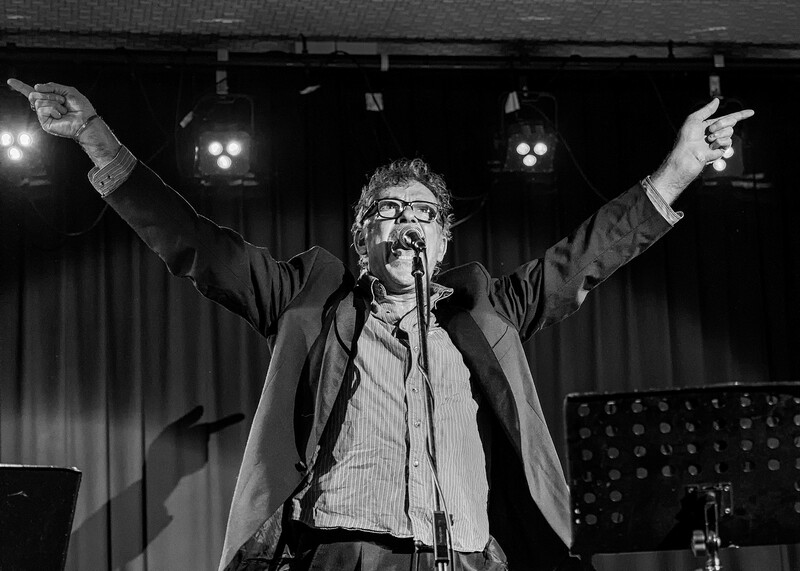 We ended the evening off with two from John Lennon (and Yoko) with ‘Imagine’ and a rousing ‘Give Peace A Chance’. This night was a very palpable emotional journey that reaffirmed my belief in the power of song. Thanks to Jason Caspen on Drums, Deb on the door, Luis on Sound and everyone one who came along. 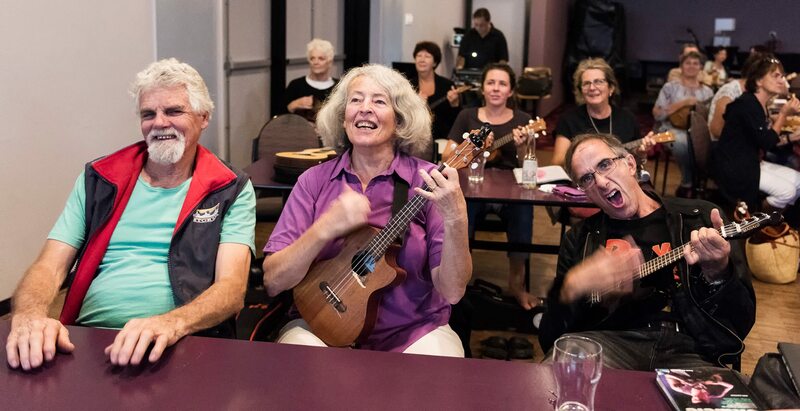 There were a lot of faces who hadn’t been to the last few evenings and it was great to see almost all of the NRUO united again sitting together at a table strumming along. 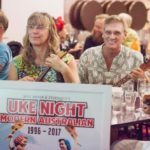 The 70th consecutive UKE NIGHT on Thursday 29 June was themed SOUL and was a true joy. 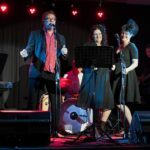 Partly because of the great guests and musos in the band, partly because of the fantastic songs and partly because we had a great turnout and everyone was up for a bit of fun!! 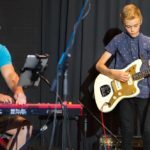 Justin Bannister was back on keys with his excellent energy and optimism playing all the extra little horn lines and string parts. 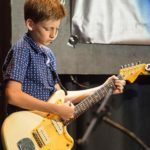 13 year old Sam Sanders was as steady as a rock on soul guitar chops and pulled off a fantastic blues solo at the end of the set. 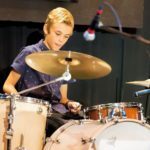 Always consistent and fabulous Jason Caspen and Rod Coe – drums and bass and for his first ever jaunt, Peter Chown on Sax made one tight little combo. 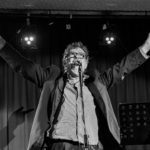 Then the guests: First up ‘Man About Town’ Jono Hillman did a great job Sam ‘n Dave’s Hold On I’m Comin’ and his other 2 tunes. 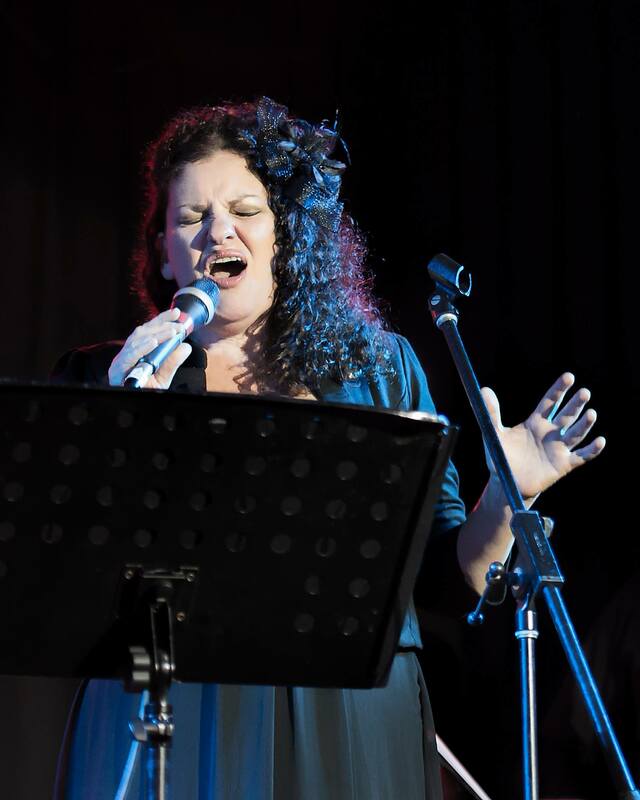 Brand new comer Soul Sister Number 1 – Shelly Brown raised eyebrows and put smiles on faces. She is a marvel, full of great soul chops and positive uplifting vibes. 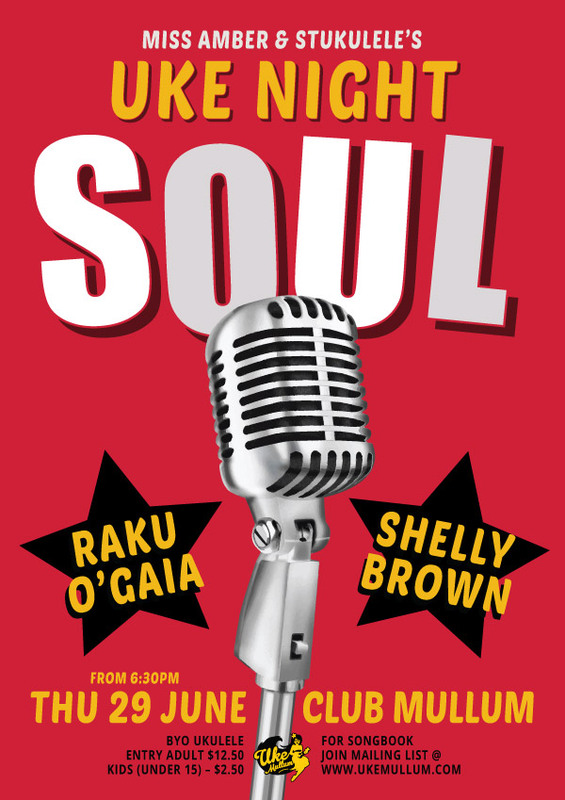 Of course Raku One O’Gaia (formerly known as Soulman) always brings it on home in a big big way. One of the more memorable nights we have had in a while. 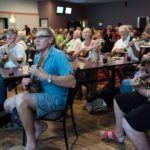 The numbers were good and there were more ukes in the audience than the previous few nights. Sharon Shostack who has filmed a few birthdays in the past won the SOUL poster and I was very chuffed for Ian Wickham who was beaming with delight when he won the lucky door prize. Samb was there live streaming and a few folk tuned in – including Terry and Maddy from the NRUO all the way from Darwin. Thanks to Luis and Deb back on the door. Thanks for all who came along. 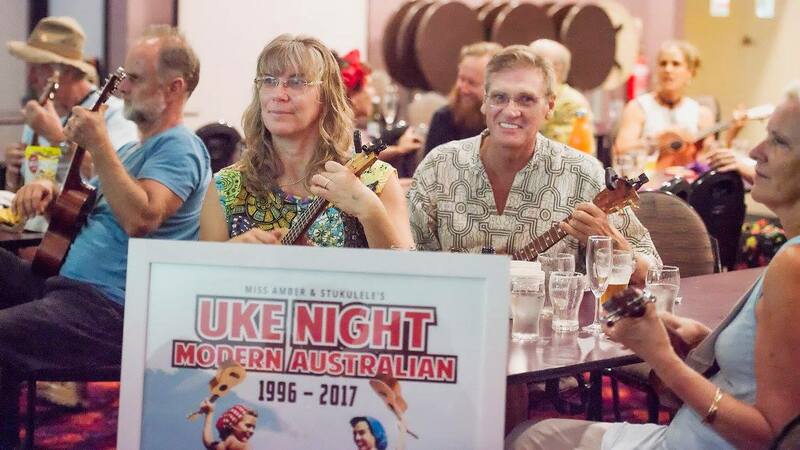 Thanks to everyone for coming to the Modern Australian UKE NIGHT. It was in the end a fantastic evening albeit with a late start and even later finish. I was up at the crack of dawn and so was our trusty sound man Luis Christia and Door Technician Deb Stoker at the Brunswick Heads Breakfast in the Park Australia Day celebration. The NRUO was leading the songs for the forth year in a row. So we were a little pooped. 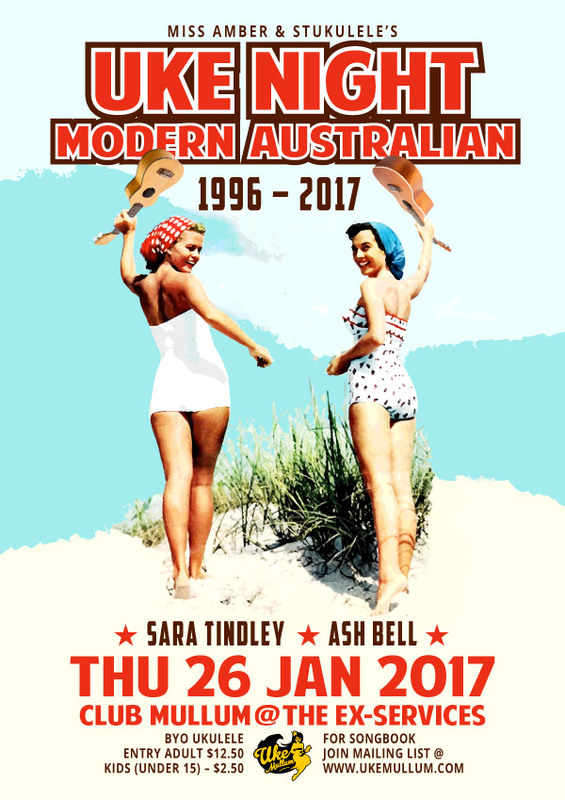 This book featured Australian songs from the last 20 years. So not surprisingly some folk had never heard of them. This was the exact reason I did the book. It seems ludicrous that songs most people want to hear and play are the ones they know, usually from their youth when they first fell in love with them. While I understand why that is, in the past 20 years 10s of thousands of songs have been written… some real treasure too. We must keep moving along folks. 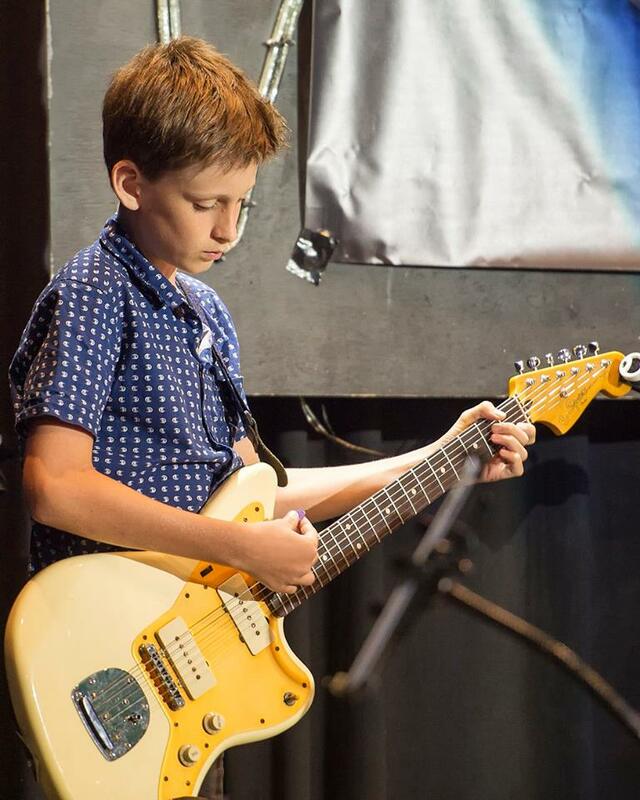 With this in mind I thought it important to have some young folk up on stage with us. 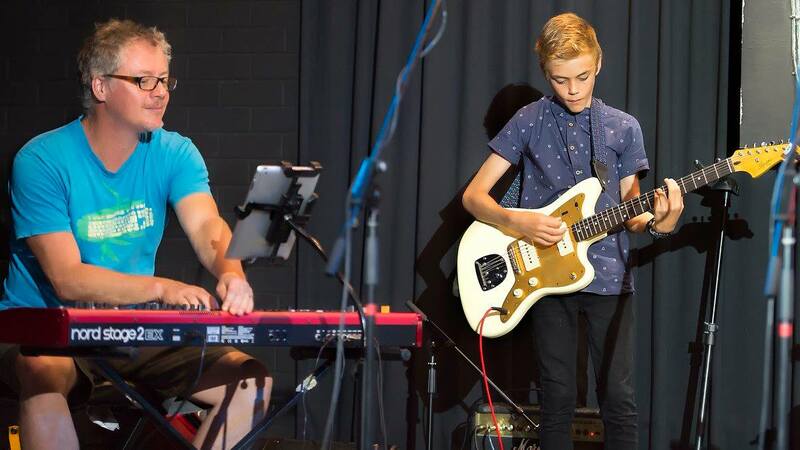 Local band 100 Words consists of 12 year old – Miller Stuart-Long, (fantastic singer / song writer in the making), Jack Edmonds and Sam Sanders. 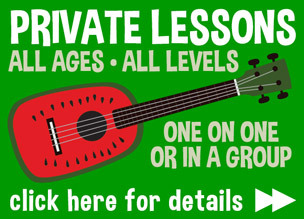 These guys share the instruments around and have learned how to hold it down and keep it tight. So refreshing to see. 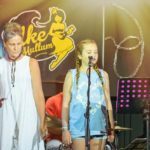 Milly sang with daughter Rose Eadie on ‘Big Jet Plane’ before the band got up and played two original songs. Also Sonny Flynn played trumpet. 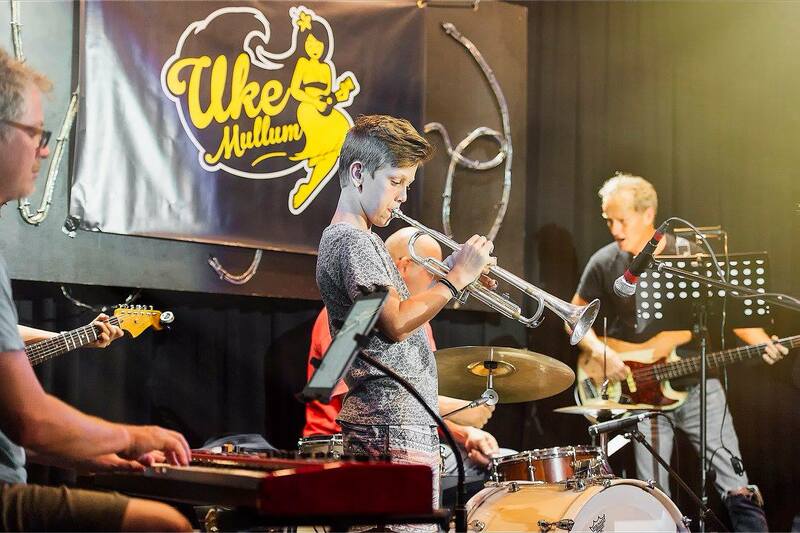 What a great feeling to share the stage with these young musicians. Sam Sanders was actually in the UKE NIGHT band as guitarist and did a mighty job with a talent way beyond his years, playing some wicked riffs and solid grooves and solos on songs he heard for the first time the week before. 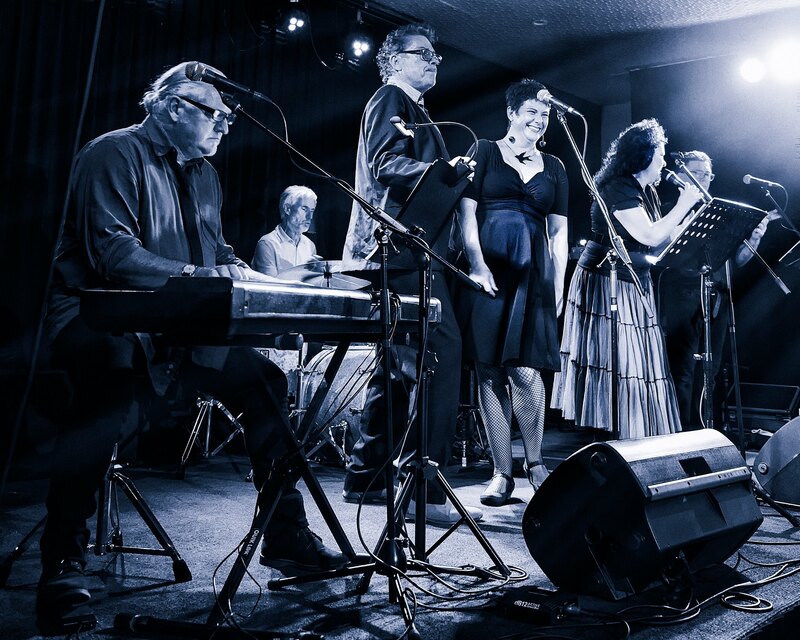 The first half of the show was full of pop songs from Australian bands and solo artists, including the wonderful message song ‘Caught In The Crowd’ by Kate Miller-Heidke. 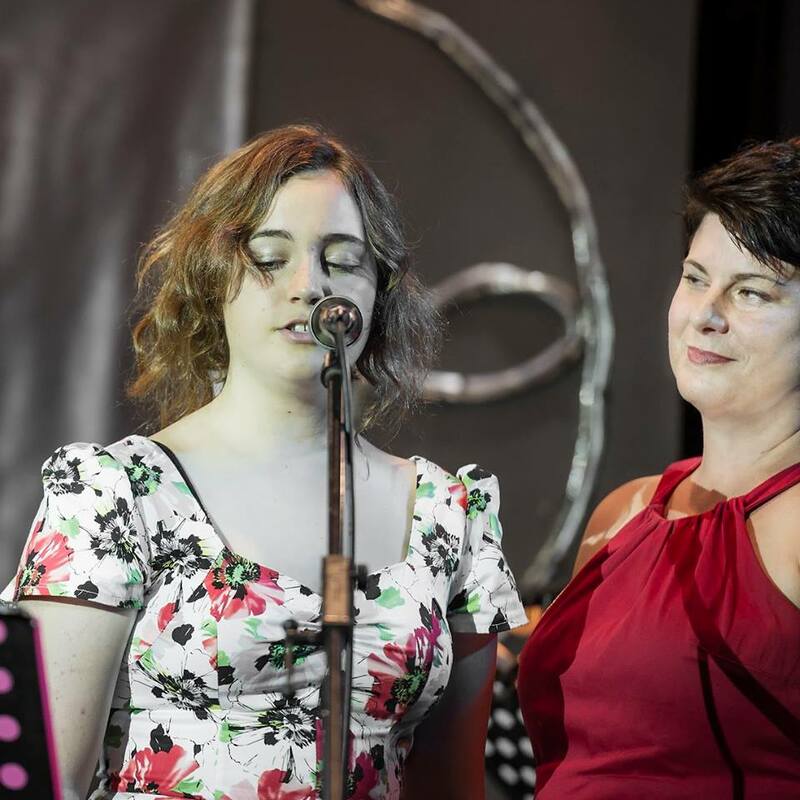 Guest vocalist Sara Tindley’s daughter Poppy Baily-Tindley sang this one with Rosie – they were amazing. 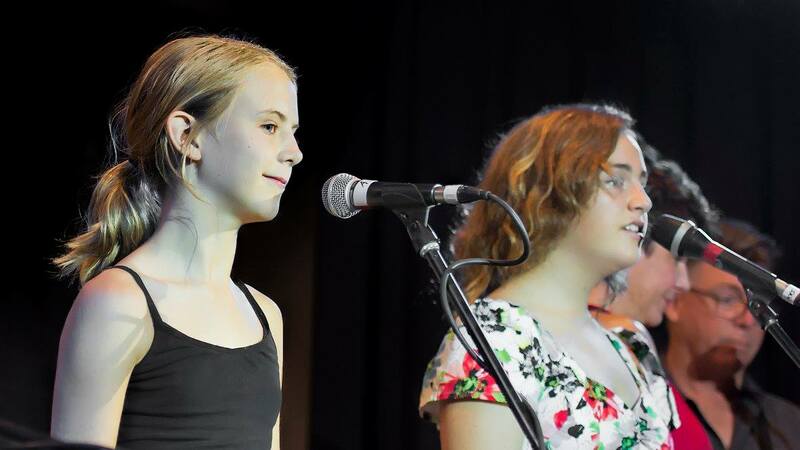 Both Miss Amber and Sara sang harmonies with the girls unable to contain their proud mother smiles. Brad Green won the highly coveted poster in the raffles and Noel won the two tickets for next month. 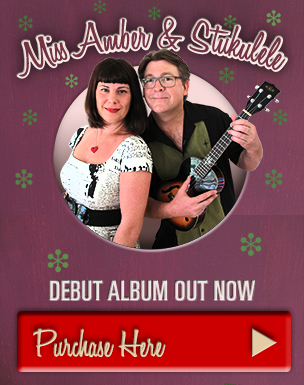 Barb won the Australia Day ukulele and promptly told Miss Amber to bend over so she could show her were to stick it. (Barb is over 80 and doesn’t fancy learning I guess). 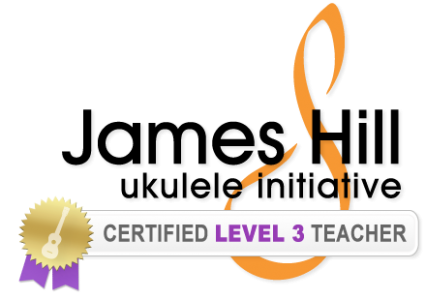 There was a lot of learning from the musicians this month and I really appreciate the time and effort that went into recreating all the little details. Brilliant keys from new comer Dan Brown who was the perfect man for the job with the ability to pull authentic synth sounds one minute and beautiful piano solos the next. Thanks To Al Brooker and Jason Caspen for their exceptional rhythm section work. The night was ended with a soulful version of Nick Caves ‘Into My Arms’ with impromptu 4 part harmonies in the last chorus. We were packed up and out of there before 10pm. 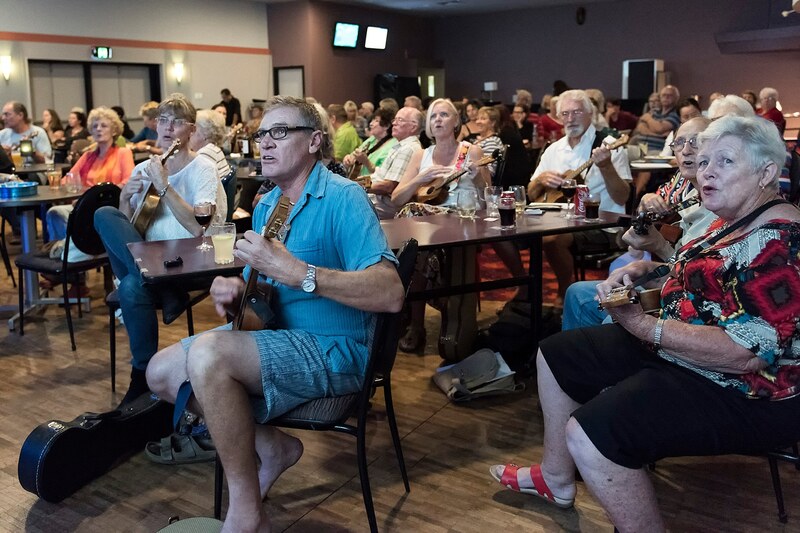 It’s always great when someone says, “that was the best uke night yet”… (some one always says it.) 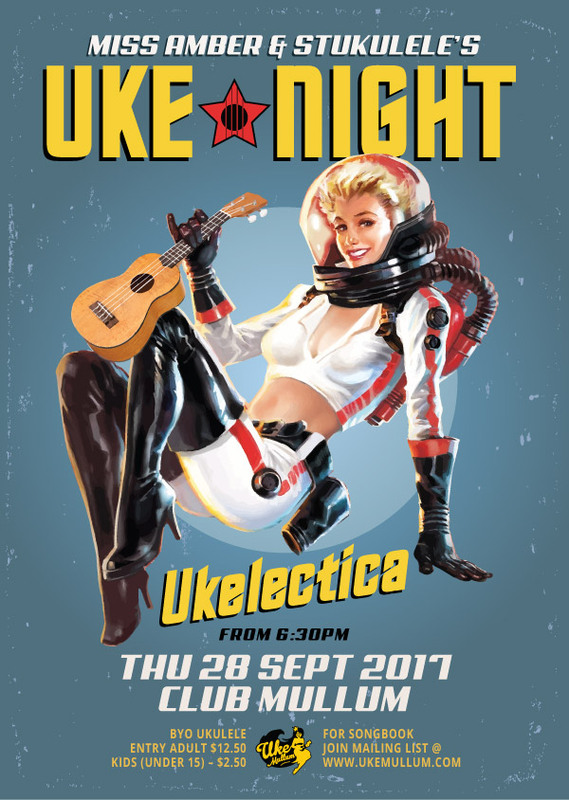 This Uke Night felt like a big joyful wake, lot’s of warmth and melancholy… less uke playing on many of the songs as the chords were particularly tough this month, though lots of loud singing. Stu as usual lead the first few tunes and hit a high with Roy Orbisons’ ‘Crying’. 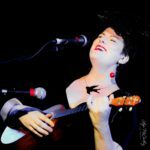 It was an extra special night for Miss Amber as it was her Ukulele debut. She did her own version of Amy Winehouse’s ‘You Know I’m No Good’ a great arrangement that was hugely applauded. 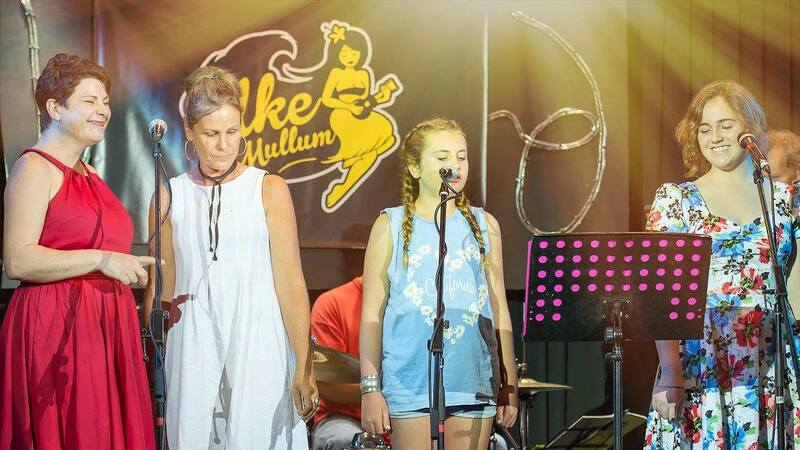 Members from the N.R.U.O, Madeleine, Jeanti and Terry joined in to play the riff from Nirvana’s ‘Come as You Are’. This night had the benefit of extra planning time as the concept was originally for March then was moved as our stars Belle Hendrik and John Hill were not available till April. So glad it worked out this way as the set list and charts were fine tuned into what turned out to be a celebration of the great artists who have effected our lives so many ways and now have passed over to the other side. 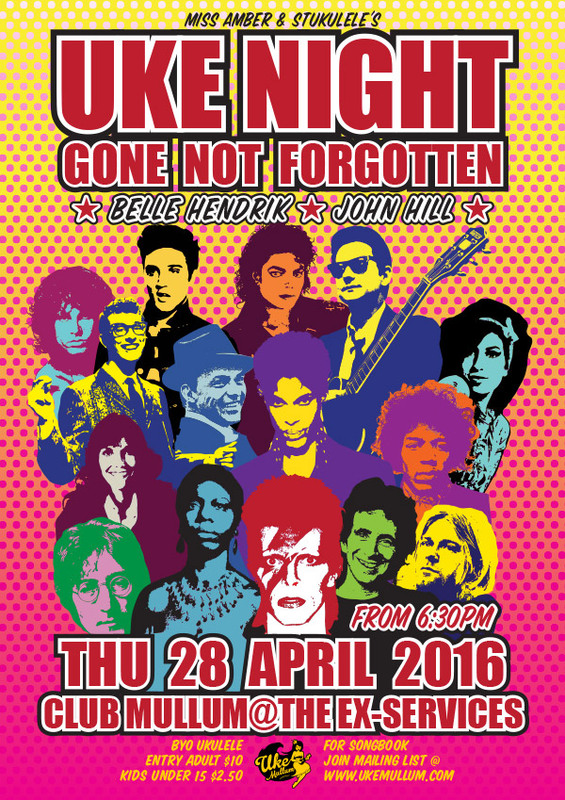 Also, sadly Prince died a week before the show so two of his tunes were added to the set. John Hill is a consumate performer, singer and piano man and he floored everyone with his version of Joe Cocker’s ‘You Are So Beautiful’ (with the missing 2nd verse) then followed it with the Jamie Cullum inspired version of Jimi Hendix’s ‘The Wind Cried Mary’. Special surprise guest was the unpredictable maverick Phil Frea. 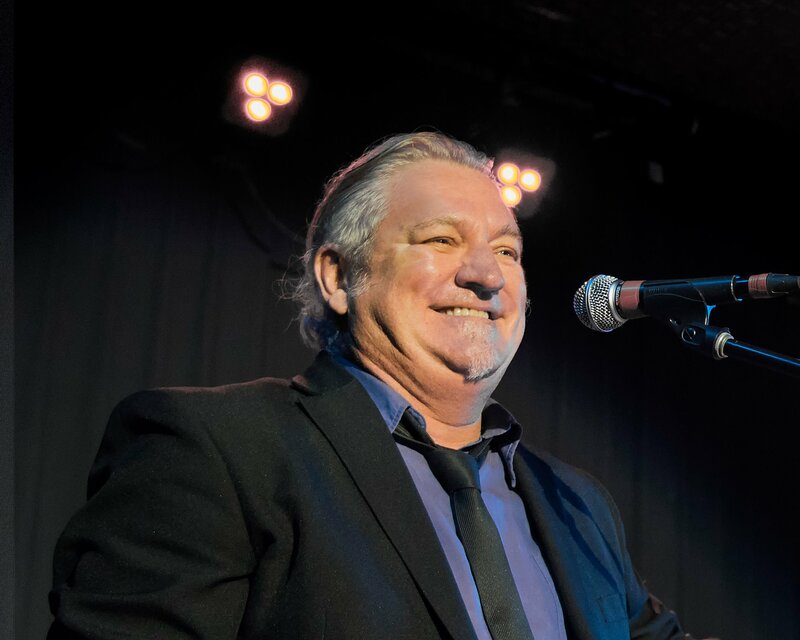 He was very entertaining with his lyrical adaptation of ‘New York New York’ – ‘Newtown Newtown’. Even the mixed up verse somehow made it even funnier. 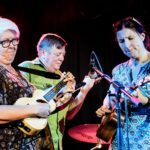 He then dedicated his next tune to his 6 year old Daughter – ‘I’m Gonna Sit right down and write myself a letter’ with bv’s from Belle and Miss Amber. 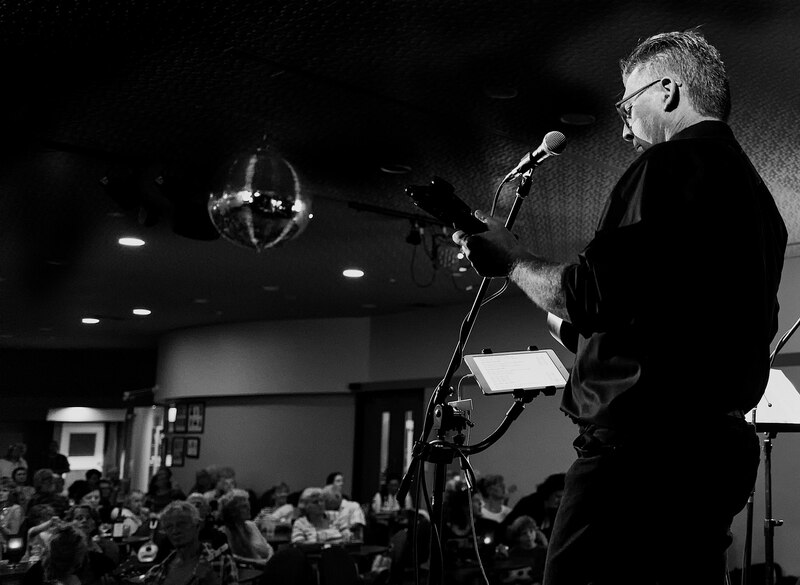 Stu lead the Elvis Medley with more BV’s from the gals and it was time for the break with raffle and lucky door prize. Belle Hendrick is a force of nature. 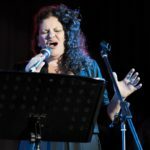 Her versions of Nina Simone’s ‘Feeling Good’, Edith Piaff’s ‘Non Je Ne Regrette Rien’ and ‘Kozmic Blues’ by Janis Joplin were jaw dropping…. then she belted out AC DC’s Highway To Hell with a version that would have had Bon Scott scared. After John Lennon’s ‘Imagine’ the cast fare welled Prince one more time with Purple Rain. There were more than one standing ovation during the night. Rod Coe on electric Bass and Rex Carter on drums were the incredible as usual, thanks to Luis for gtreat souns and Deb on the Door and the club for having us. 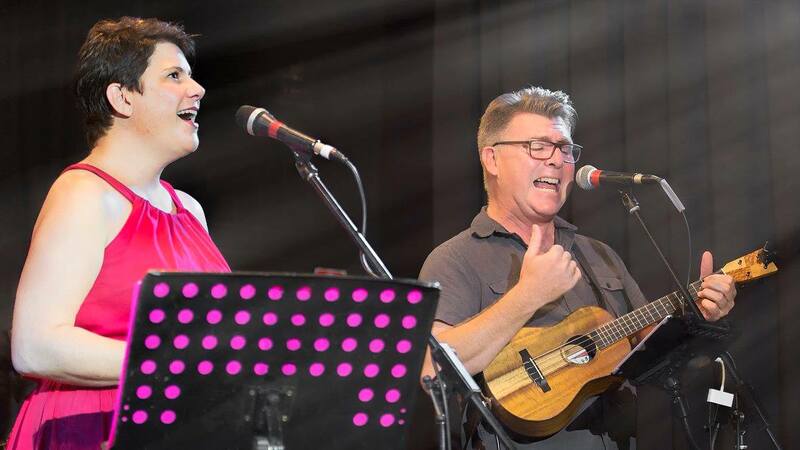 Fiona Knight who is still battling cancer came along on the night. Margaret Bell escorted her and it was so great to see them both there. Wow. The room looked wonderful thanks to the efforts of Miss Amber and Lilith from Mana Aloha Hula Dancers (Byron Bay) with floral table settings and Palm Fronds adorning the stage. It was the biggest crowd we have had since we moved to the Ex-Services with folk traveling down from the Gold Coast and even international visitors from as far away as Argentina. 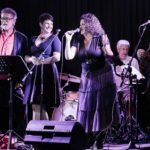 The band sounded wonderful with Paul Agar on Lap and Pedal steel, Rod Coe on the U-Bass and BV’s and Rex Carter on Drums. The dancers were so beautiful and all went off without a hitch with the musical arrangements (well almost). 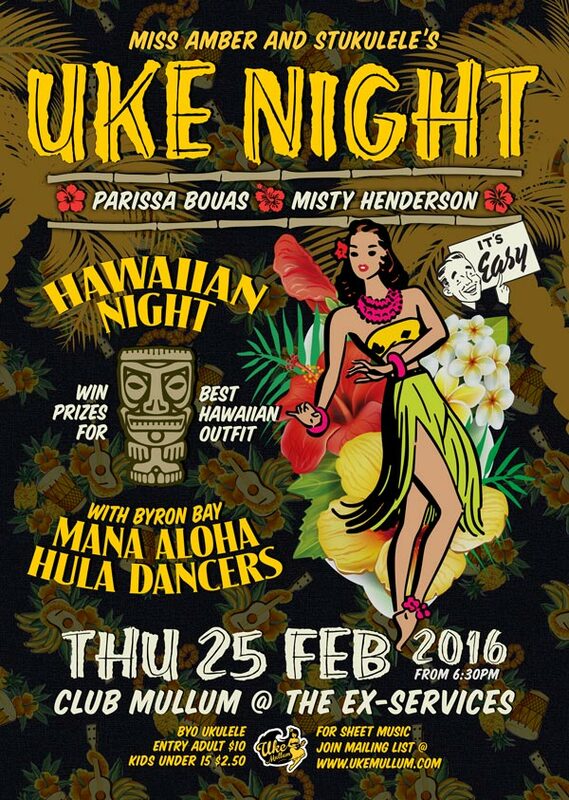 Beautiful singing with 3 part harmonies from Misty Henderson, Parrisa Bouas and Miss Amber. Terry Flatly made a surprise appearance on ‘Hula Girl’ and the members of the NRUO even got up unannounced on the dance floor to wiggle their hips. Val Hodgson won the poster for a second time in a row (for the second time in a row). Best dressed male was Graham, Best dressed female was Leander and overall best dressed who took home the Lanikai ukulele was Leilani (who as it turns out lived next door to terry Flatly in the Lismore in the 60’s, now resides between Main Arm and Hawaii, she also supplied most of the beautiful Hawaiian dresses on display). Our aim was to show all who attended what an amazing place we live in. 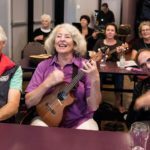 The aloha spirit was in the room and everyone left with a big smile on their face.